It looks like Vin Diesel is going to be getting the family back together for another ride next spring. According to a new report, Fast & Furious 9 is aiming to begin production in April 2019. That will give Universal just about a year to get the movie ready as they currently have the release date set for April 20, 2020. That shouldn't be a problem, but given the colossal scope of these movies now, there's surely going to be a lot to accomplish in that year. Originally, the plan was to have Fast & Furious 9 ready to go for 2019 but that didn't exactly work out. Much of that had to do with the fact that Dwayne Johnson managed to put together a spin-off centered on his character Luke Hobbs, which will co-star Jason Statham's character and sees them team-up for their own adventure. The spin-off, titled Hobbs and Shaw, is set to begin filming very soon under the direction of David Leitch (Deadpool 2, Atomic Blonde) and will hit theaters in August 2019. With that, Universal couldn't quite dedicate the resources to two movies within the franchise at the same time, nor did they seem to have any interest in releasing two of them within the same calendar year. So, Fast and Furious 9, which doesn't yet have an official title, got bumped to 2020. That caused a bit of a scuffle between Dwayne Johnson and some of his fellow castmates, most notably Tyrese Gibson. That beef has since been squashed. Though, with The Rock's busy schedule outside of doing Hobbs and Shaw, it's quite unclear what degree of involvement he's going to have in the ninth installment. His thriller Red Notice may prevent him from having a significant role and could see him return in a glorified cameo of sorts instead. As for what to expect from the follow up to The Fate of the Furious? Justin Lin, who helmed four previous movies in the franchise, departing ahead of Furious 7, is back in the director's chair once again. Jordana Brewster will also be back as Mia. That doesn't necessarily mean that Paul Walker's Brian will be back. The late actor's brothers recently expressed interest in having Brian return in some form down the line, but it seems more likely that would be in the tenth movie, which is already in the cards. At one point, the plan was to shoot nine and ten back-to-back. That doesn't seem to be the plan anymore. Plot details are virtually non-existent at this point in time. Vin Diesel previously hinted that the gang will be heading to Africa for the first time. 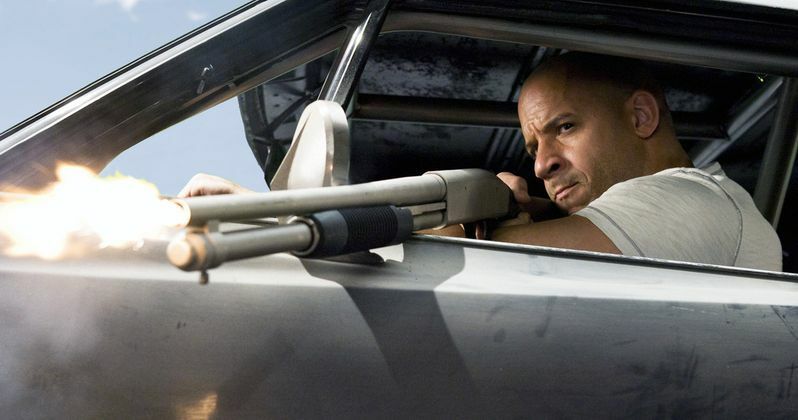 Back in May, we reported that franchise writer Chris Morgan was busy focusing on Hobbs and Shaw, so newcomer Daniel Casey was brought in to handle screenplay duties for Fast and Furious 9. It will be interesting to see what some fresh eyes can bring to the series. This news was first reported by Geeks Worldwide.